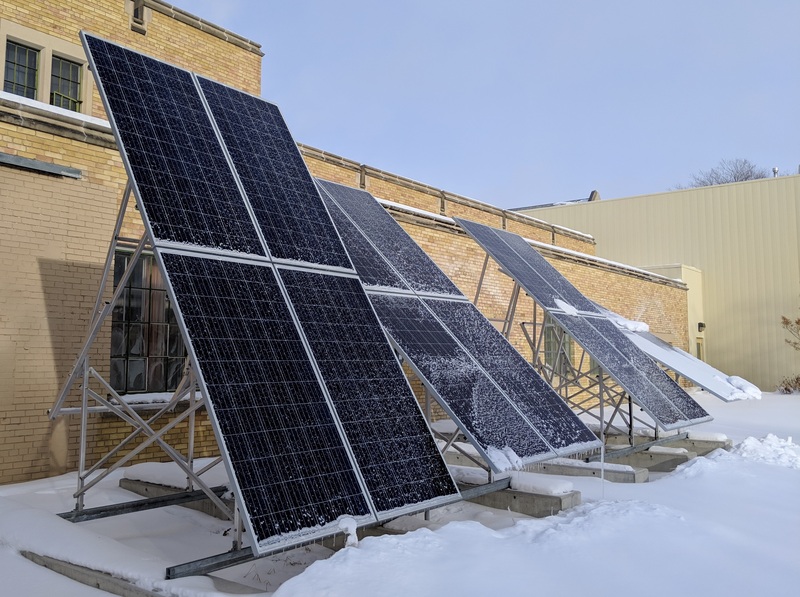 Situated at the Horticulture Department's field office on 14th St, this 24 kW solar array was erected in 2012 using a $35,000 rebate supplied by the Government of Saskatchewan. It supplies roughly 70% of the yearly power needs of the horticulture facility, similar to the amount of energy required to power 3.7 homes for a year. Erected in the summer of 2016 at the south end of the John Mitchell Building, these panels are the result of a Living Lab student project which sought to expand renewable energy generation on campus to increase the availability of experiential learning opportunities. The panels are overseen by student volunteers from the U of S Innovative Energy Team and they are currently being used as hands-on study aids for a number of classes in the College of Engineering.